My Thursday took a turn for the better when WordPress.org informed me that Radcliffe is now live on the theme depository. Radcliffe is a proper blogger’s theme, and quite different in style from my previous efforts. With the exception of the small header and the optional widget areas in the footer, Radcliffe is all about the content – big featured images, equally big headlines and serif typography that is both easy on the eyes and easy to read. I’m looking forward to see what people do with it. You can check out the demo here. I ended up having a lot of free time this summer, and I’ve spent a lot of it working on more themes. 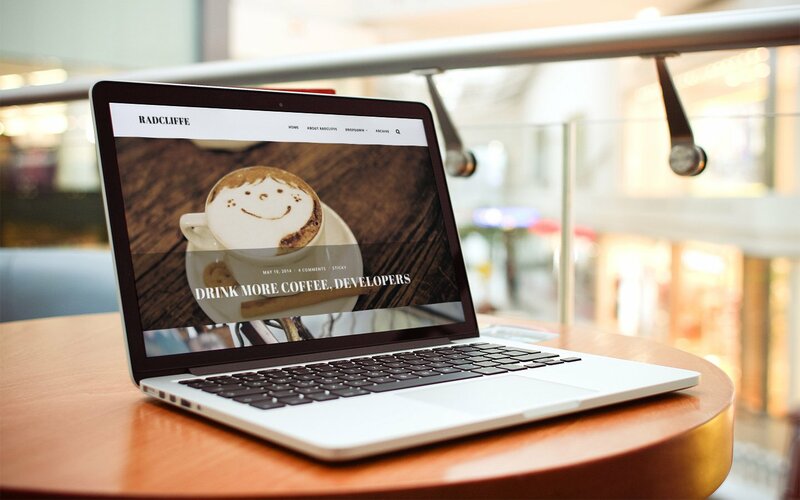 Hoffman is a stylish blogging theme set in white, dark grey and gold. 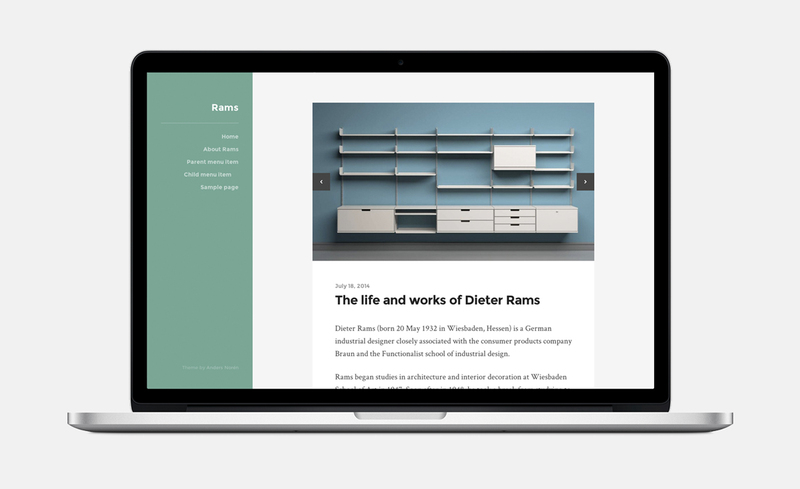 Rams is a very minimalist theme for bloggers who doesn’t want anything to distract from the content. Garfunkel is a different take on the Masonry/Pinterest style theme, with a big focus on images and different content types. All three have been submitted to WordPress.org for review. I have one more theme that I’m tinkering with on and off, but that will probably be the last theme I submit this summer. Given the current waiting period for theme reviews I’d doubt if any of the four themes mentioned above will be released before September/October. Radcliffe was submitted in early June. Still, it’s nice to know that I’ll have some themes coming out in the fall, since I probably (hopefully) won’t have as much free time on my hands once the term starts.